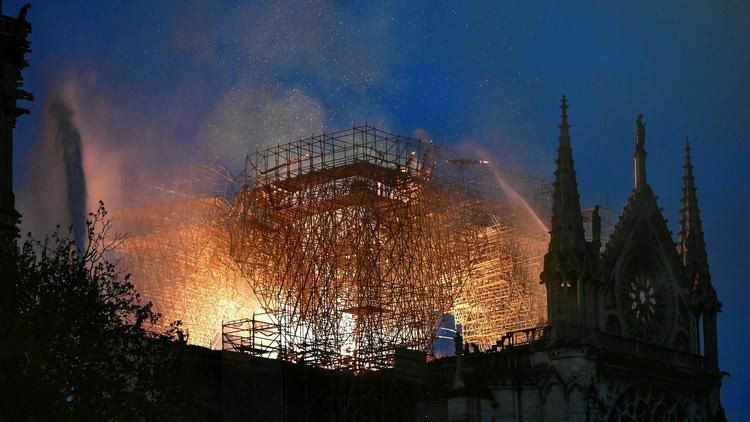 Firefighters have been able to save the cathedral’s two main towers and its main structure, and stopped the fire from spreading to the northern belfry. The blaze burned for eight hours. Residents living close to the cathedral were evacuated in case the building collapsed, said Paris Mayor Anne Hildago. The area surrounding the cathedral, Paris’ Ile de la Cite, was also evacuated, according to Reuters. Notre Dame Cathedral, which dates back to the 12th century, is an enduring symbol of France and its most popular tourist destination. It has stood through centuries of war and peace. Initial construction started in 1260. The last damage of any significant scale took place during the French Revolution in the late 18th century, when much of its religious iconography was destroyed. Today’s fire may have been linked to a renovation project, authorities say. The cathedral is famous for featuring in Victor Hugo’s classic novel “The Hunchback of Notre-Dame,” attracts millions of tourists every year.